Select New > Email Message. Choose the file to share and select Next. 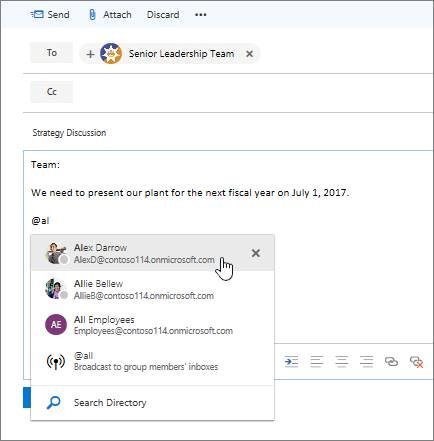 If the file is on your C: drive, select Upload and share as a OneDrive link to upload it to your OneDrive and send a link. 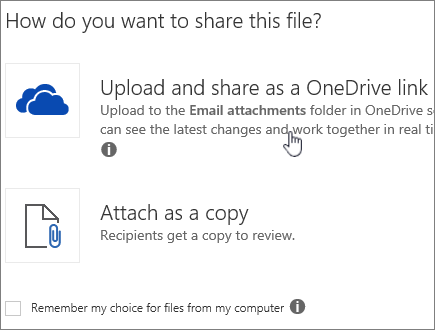 If the file is on your OneDrive, select Share as a OneDrive link to send a link. Choose the contact you want to mention from the list. Note: @mentions are only available for recipients using Exchange Server 2016, Exchange Online, or Outlook.com.